When it comes to my most-loved book genres, young adult fiction has to be right up there on my list. Yes, I know, I’m almost 30, but I suspect that I will always have a special place in my heart for YA fiction. There’s something so compelling in well-written YA – the alienation, the feelings of displacement, the longing for belonging….ah, nothing like angsty YA, I tell you. 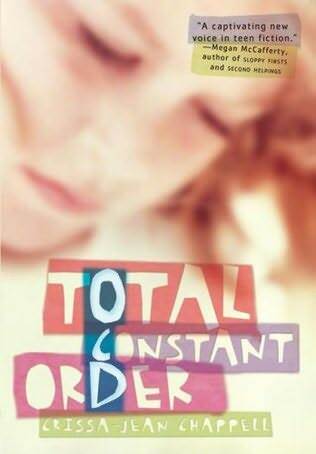 Total Constant Order has to be one of my favourite YA books. I don’t know anyone with Obsessive Compulsive Disorder (OCD), so reading this book gave me a sneak peek into what it must be like for someone to live with that, day in, and day out, and what it’s like for the people who love them. I really like Fin, the protagonist – she’s spunky, likeable, and of course, troubled, but ultimately, she rises to the challenge of embracing who she is, OCD and all. I like that it ends on a hopeful, but not picture-perfect note. That makes it more relatable, which I feel makes the best kind of story.